NOAA is expected to release more information on the investigation Thursday. January 6, 2017 — The vaquita is a small porpoise found only in the northern Gulf of California, in Mexico. Today, the species is critically endangered, with less than 60 animals left in the wild, thanks to fishing nets to catch fish and shrimp for sale in Mexico and America. The animal is an accidental victim of the fishing industry, as are many other marine mammals. But a new rule that takes effect this week seeks to protect marine mammals from becoming bycatch. The rule requires foreign fisheries exporting seafood to the U.S. to ensure that they don’t hurt or kill marine mammals. If U.S. authorities determine that a certain foreign fishery is harming these mammals, the fishery will be required to take stock of the marine mammal populations in places where they fish, and find ways to reduce their bycatch. That could involve not fishing in areas with high numbers of marine mammals. Fisheries will also have to report cases when they do end up hurting mammals. This is what American fisheries are already required to do under the Marine Mammal Protection Act (MMPA). 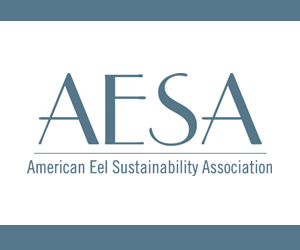 Up to 90 percent of seafood eaten in the U.S. is imported, most of it shrimp, freshwater fish, tuna, and salmon. The goal of the new rule is to ensure that seafood coming into the country didn’t harm or kill marine mammals. But can this new rule protect the vaquita? Zak Smith, a senior attorney with the Marine Mammal Protection Project at the Natural Resources Defense Council, thinks so. The vaquita is kind of a poster child for what happens when you don’t have this law in place,” he says. To understand the potential impact of the rule, Smith says, we should consider the laws that saved dolphins from tuna fisheries. For decades, dolphins – which swim with schools of tuna – were accidentally (and sometimes deliberately) killed by tuna fisheries. According to NOAA, over six million dolphins have been killed since the beginning of tuna fishery. 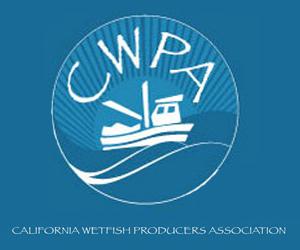 Enacted in 1972, the MMPA required tuna fisheries to take measures to stop harming dolphins. Then, in the 1980s, the act was amended to ban the import of tuna from foreign fisheries that harmed dolphins. In 1990, the U.S. passed another legislation – the Dolphin Protection Consumer Information Act – that spelled out requirements for “dolphin-safe” labeling on all tuna sold in America. Smith says these laws have helped reduce dolphin deaths. But the new rule goes even further, he says, because it applies to all kinds of seafood and all marine mammals, not just tuna and dolphins. As an American consumer, “I’ll know that anything I purchase in the U.S. met U.S. standards,” he says. December 12, 2016 — NANTUCKET, Mass. — As David Pierce sat at the table at the Nantucket Seal Symposium last month, he said one image came to mind: private pilot Aaron Knight’s video from April of miles of gray seals, a dozen deep, cheek by jowl, banding the Monomoy shoreline. Recently appointed as director of the state Division of Marine Fisheries, Pierce is a veteran of decades of fisheries negotiations as former director Paul Diodati’s proxy on the New England Fishery Management Council. Fishery managers live and die by population estimates – known as stock assessments – that help set sustainable catch levels for commercial fishermen, so it was disconcerting to hear that the same level of science had not been applied to the predators who eat them. The answer will not be coming any time soon, according to federal fisheries officials at the symposium. “It’s just an expensive number to get,” said Sean Hayes, the National Oceanic and Atmospheric Administration branch chief for protected species in the Northeast. Kimberly Murray, coordinator of the seal research program at NOAA Fisheries Northeast Fisheries Science Research Center in Woods Hole, said it could cost as much as a half million dollars to conduct the tagging study alone. The operational budget for seal research is around $10,000, Hayes said, although that doesn’t include the salaries for the two full-time and two part-time employees in the program. Federal agencies are required to stick to the budgets they are allocated by Congress, and NOAA can’t shift money around among species. Because of their historic comeback from virtual extinction in New England waters, gray seals are far down on the budget priority list, Hayes explained, and get minimal funding. To put more money into seal research, he’d have to take it from other programs for more highly endangered species such as right whales during the budget process, and make a successful plea to put that amount into seals. 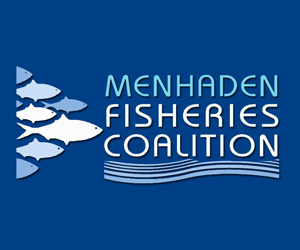 The region’s fishermen have been asking in vain for years for the National Oceanic and Atmospheric Administration’s fisheries division to give them a true population number for gray seals to gauge their impact on fish stocks such as cod, haddock, flounders and striped bass. With the arrival of hundreds of great white sharks to inshore waters of Cape Cod every year, to feast on members of the largest gray seal colony in the U.S., new voices have emerged with concerns about public safety. “Where is this headed and how are we going to know at what rate this population is increasing if we don’t know what the number is now?” asked Orleans Natural Resources Manager Nate Sears. Their resurgence is both a Marine Mammal Protection Act success story and a cause for concern. November 18, 2016 — The National Marine Fisheries Service is reopening the public comment period on the proposed rule under the Marine Mammal Protection Act to prohibit swimming with and approaching a Hawaiian spinner dolphin within 50 yards. The rule would apply for persons, vessels, and objects, including approach by interception. The comment period for the proposed rule that published on Aug. 24 closed on Oct. 23. 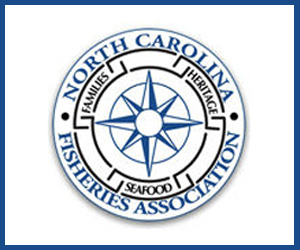 NMFS is reopening the public comment period to Dec. 1 to provide the public with additional time to submit information and to comment on this proposed rule. September 2, 2016 — NOAA Fisheries awarded nearly $3 million in grants Sept. 1, 2016, to support the conservation and recovery of protected marine species through stranding response and marine mammal rescue and rehabilitation. Through the John H. Prescott Marine Mammal Rescue Assistance Grant Program, NOAA awarded 32 grants to nonprofit organizations, aquariums, universities, and coastal state, local and tribal governments that are members of the National Marine Mammal Stranding Network. Recipients will use their award funds to respond to marine mammal strandings, improve capacity at their facilities, and conduct scientific investigations into the causes of stranding events and unusual mortality events. Funding will also be used to help recover marine mammals that NOAA Fisheries has designated “Species in the Spotlight,” all of which have a high risk of extinction in the near future. The stranding network’s trained professionals and volunteers serve as the first responders to marine mammals in distress and work to provide humane care to animals in need. They also investigate causes of disease, injury, or illness. NOAA Fisheries relies on its partnership with the network’s members to collect research about marine mammal health needed to develop effective conservation programs for marine mammal populations. August 12, 2016 — Nations selling seafood to the U.S. must maintain higher standards for protecting whales, dolphins and other marine mammals, according to new regulations announced Thursday by the National Oceanic and Atmospheric Administration. 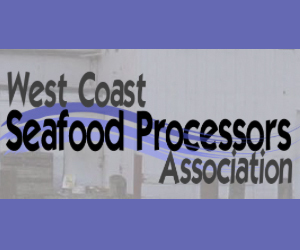 Other countries will be required to meet standards equal to what is required of U.S. fishermen under the federal Marine Mammal Protection Act, NOAA Fisheries officials said, a change local fishermen groups applauded. “It’s fantastic,” Cape Cod Commercial Fishermen’s Alliance CEO John Pappalardo said. While the U.S. has some of the most conservation-minded fisheries laws in the world, American fishermen are selling in a global marketplace, Pappalardo said. The cost of domestic regulations to U.S. fishermen cuts into their competitive edge, he said. “It costs more money to produce that fish,” he said. 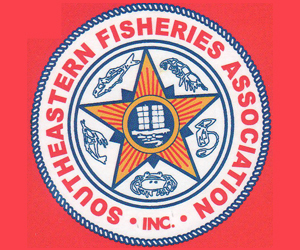 Massachusetts Lobstermen’s Association members find it difficult to compete with fishermen from other countries because of gear modifications and fishing ground closures required under U.S. law, said Beth Casoni, executive director for the organization. 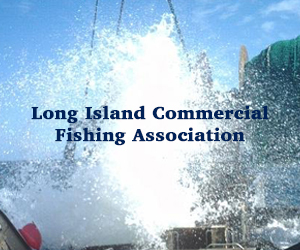 The association has about 1,800 members from Maine to New Jersey who fish lobster, scallop, conch, groundfish and more. NOAA Fisheries has released final guidance to help predict how human-made underwater sounds affect marine mammal hearing. Sound is critical to the survival of marine mammals. It is a primary means of marine mammal communication, orientation and navigation, finding food, avoiding predators, and mate selection. NOAA will use the guidance in its assessments and authorizations of activities that generate underwater sound. The guidance also allows federal agencies, industries, and other applicants to more accurately predict effects of their proposed projects and help inform decisions about appropriate mitigation and monitoring. NOAA Fisheries also created online tools to help applicants use the new guidance. NOAA’s authorities to address the effects of ocean noise on marine resources fall primarily under the Marine Mammal Protection Act, Endangered Species Act, National Marine Sanctuaries Act, and Magnuson-Stevens Fisheries Conservation Act. These authorities allow NOAA to recommend or require mitigation in order to reduce or eliminate their predicted noise impacts to species and the places they rely on. NOAA shares this responsibility with a number of other federal agencies. NOAA released its a broader draft Ocean Noise Strategy Roadmap less than two months ago. 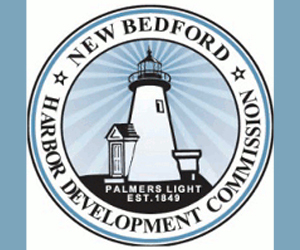 The technical document is one example of a step the agency is taking to address increasing levels of ocean noise. August 1, 2016 — The National Oceanic and Atmospheric Administration is asking boaters to be on the lookout for humpback whales in the Long Island Sound, according to a press release. There have been recent sightings of humpback whales feeding on small fish, possibly menhaden, in the western portion of Long Island Sound, NOAA officials said. Humpback whales are about 60 feet and weigh nearly 40 tons. The federal agency is asking boaters to follow safety viewing guidelines, which includes staying 100 feet away from whales. November 16, 2015 — A Cape May County tuna fisherman is fighting federal charges of shooting a pilot whale that was feeding on his boat’s catch. Daniel Archibald denies the charges filed against him in U.S. District Court. But his lawyer, Bill Hughes Jr., said in court papers that even if Archibald shot the animal, he wasn’t breaking any laws. The unusual case highlights the often contentious relationship between fishermen and the seals, whales and dolphins that steal their catch. And it points to the murky laws that give fishermen, marine contractors, researchers and others permission in some cases to kill them. Prosecutors say Archibald, 27, of Cape May, in 2011 used a rifle to shoot at short-finned pilot whales feeding on the long-line catch of the Capt. Bob, a tuna boat based in Sea Isle City. He was charged with conspiracy to take marine mammals on the high seas and violations of the Marine Mammal Protection Act.